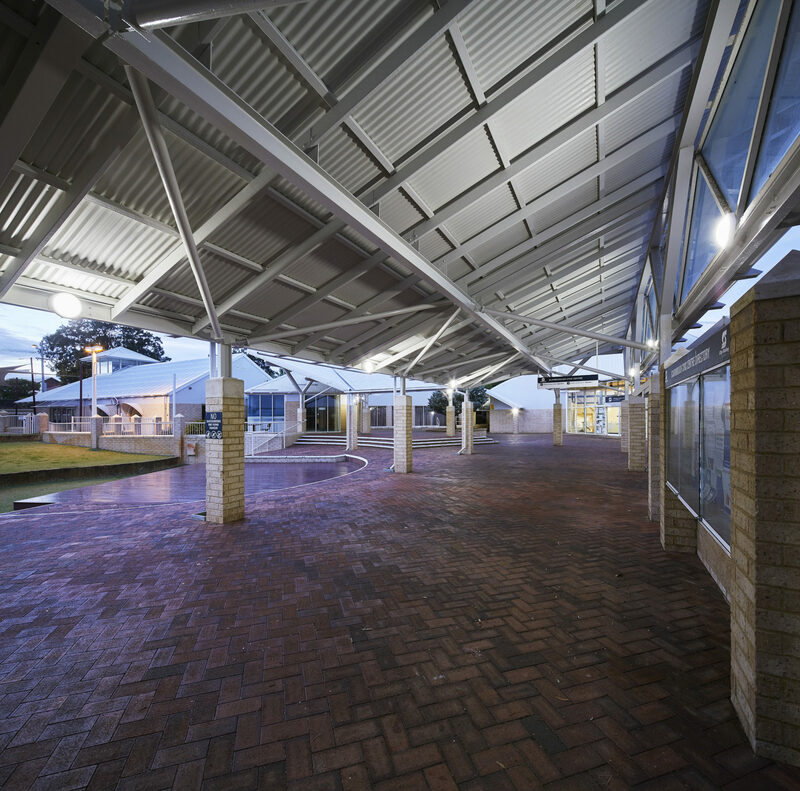 Located in the beachside suburb of Scarborough, the Scarborough Civic Centre includes a library, recreation centre and an outdoor amphitheatre. 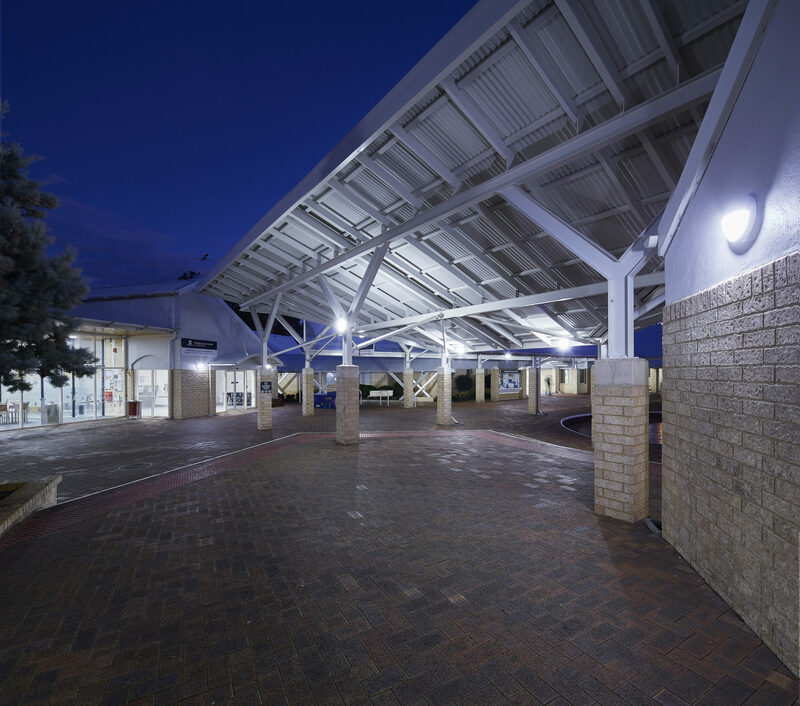 With lighting supplied by Mondoluce, several luminaires needed to accommodate for a variety of activities in the centre for all ages; such as sports, entertainment and to adequately create safe access throughout walkways at night. 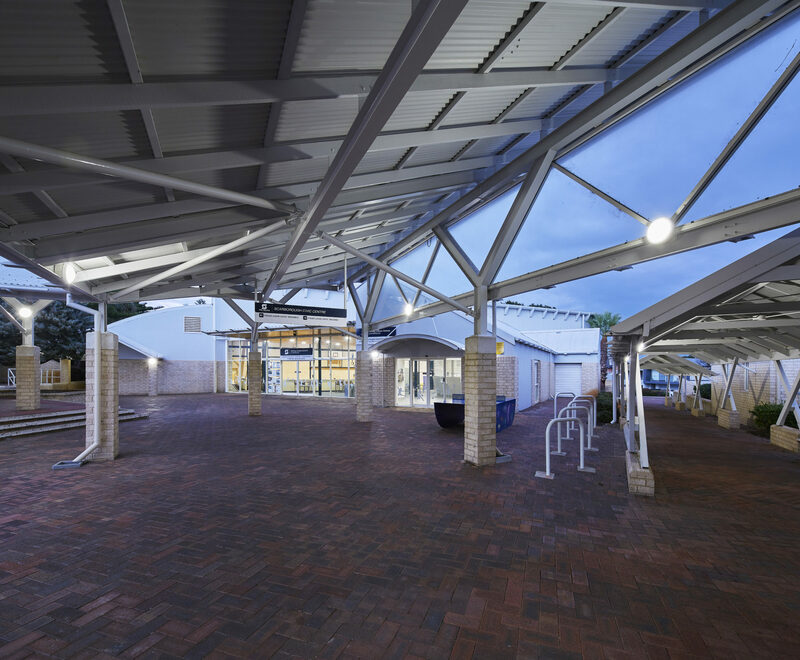 Surrounding the building and creating purposeful illumination, the Vega Outdoor Light increases light levels and allows for a safer space for occupants. 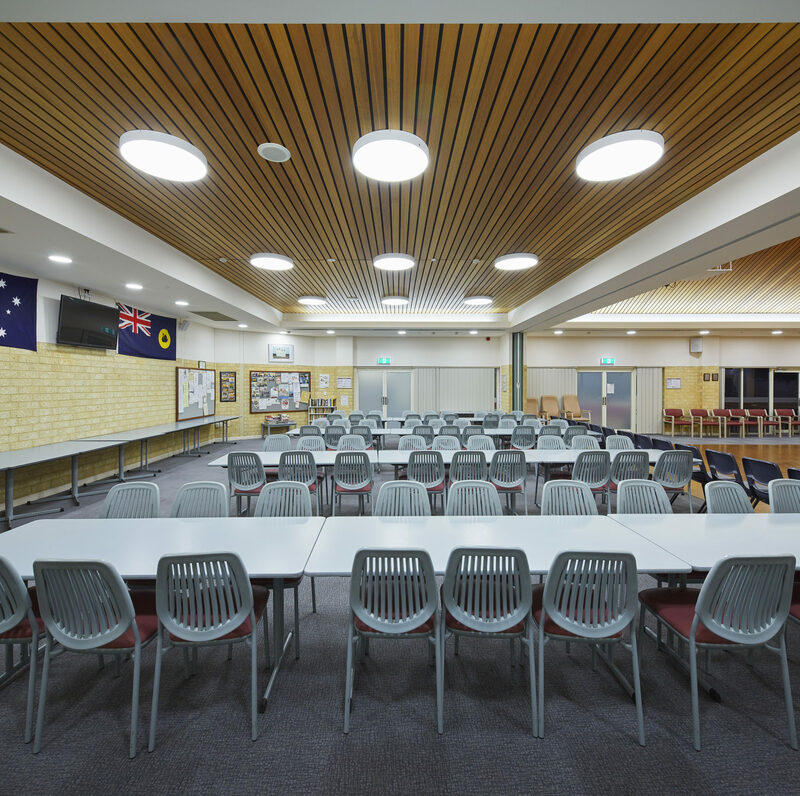 The Vega has been mounted to external structures and is resistant to discolouring, rust and corrosion in the outdoor environment, which is required for the location near the WA coastline. 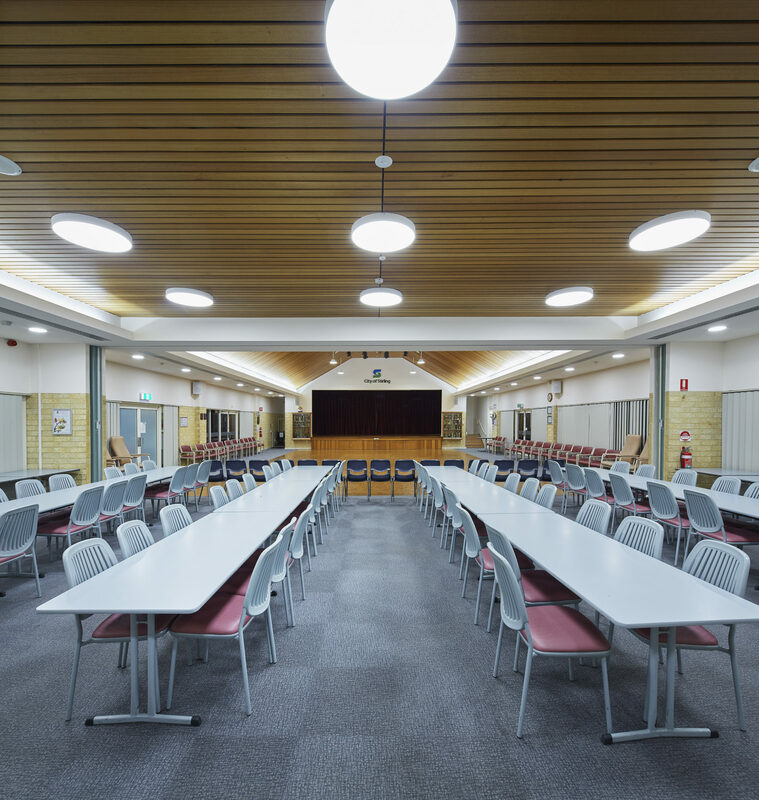 Providing a modern look while incorporating an effortless sheet of even light, the Akira Ceiling Light has been surface mounted to the function room. A micro-prismatic diffuser in the Akira means there is minimal glare and a gentle, ambient light is provided.